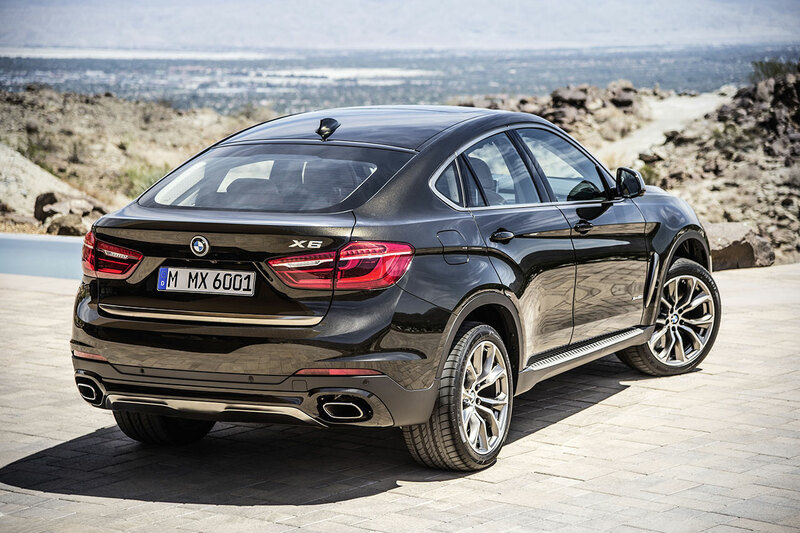 Armed with an even more potent design presence and outstanding performance, the new BMW X6 strengthens its position as a leading exponent of exclusive driving pleasure. The second generation of the Sports Activity Coupe, which has already posted global sales of almost 250,000, enjoys a special status among BMW X model rivals thanks to its irresistible allure, intoxicating performance attributes and innovative luxury. The new BMW X6 additionally comes with a suitably exclusive roster of standard equipment which goes well beyond that of the previous model: bi-xenon headlights, 19-inch light-alloy wheels, automatic tailgate operation and the 8-speed Steptronic sport transmission with steering wheel shift paddles are all included, as are leather trim, two-zone climate control, auto-dimming rear-view mirror and the Driving Assistant safety package from BMW ConnectedDrive. 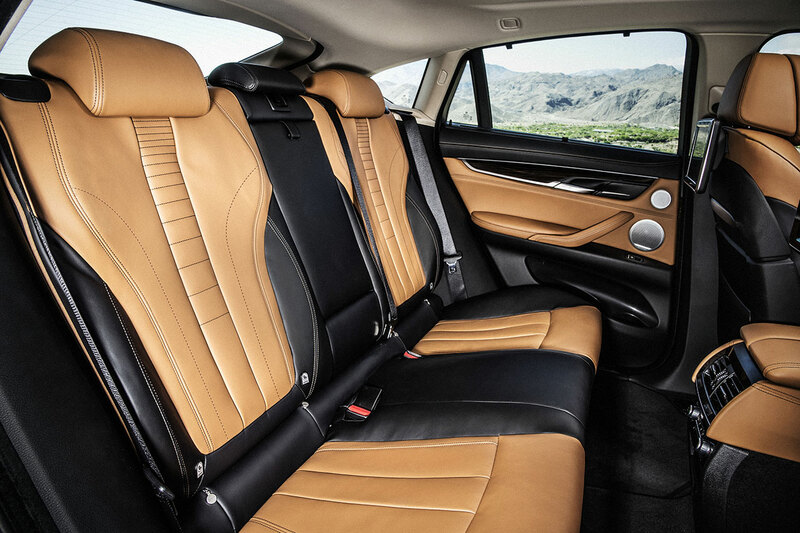 Lending functionality an extra boost are the 40 : 20 : 40 split/folding rear seat backrests, which allow load compartment capacity to expand from 580 litres to as much as 1,525 litres (75 litres more than the predecessor model). Majestic performance: noticeably greater dynamic ability, fuel consumption cut by up to 22 per cent, intelligent all-wheel drive permanently active. 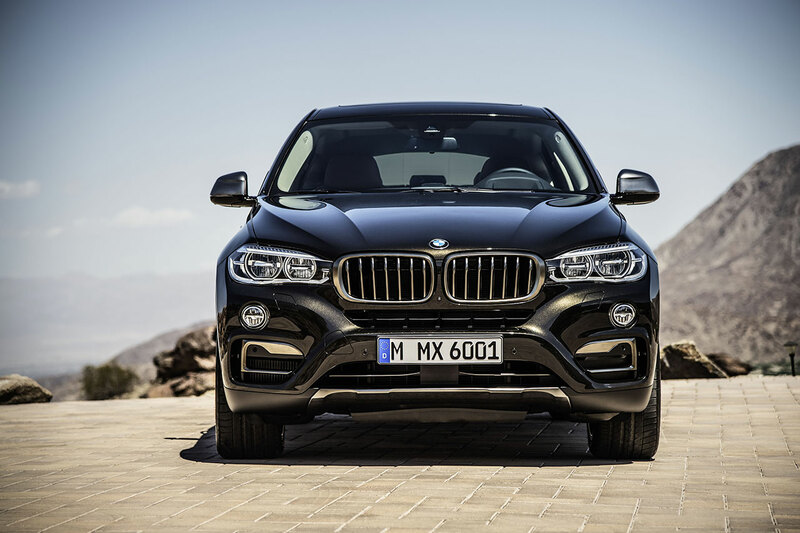 The line-up of engines available from the December 2014 launch of the new BMW X6 (fuel consumption combined: 9.7 – 6.0 l/100 km [29.1 – 47.1 mpg imp]; CO2 emissions combined: 225 – 157 g/km) consists of the latest-generation V8 developing 330 kW/450 hp for the BMW X6 xDrive50i, a 190 kW/258 hp six-cylinder in-line diesel engine for the BMW X6 xDrive30d and another straight-six diesel with three turbochargers and 280 kW/381 hp in the BMW X6 M50d. 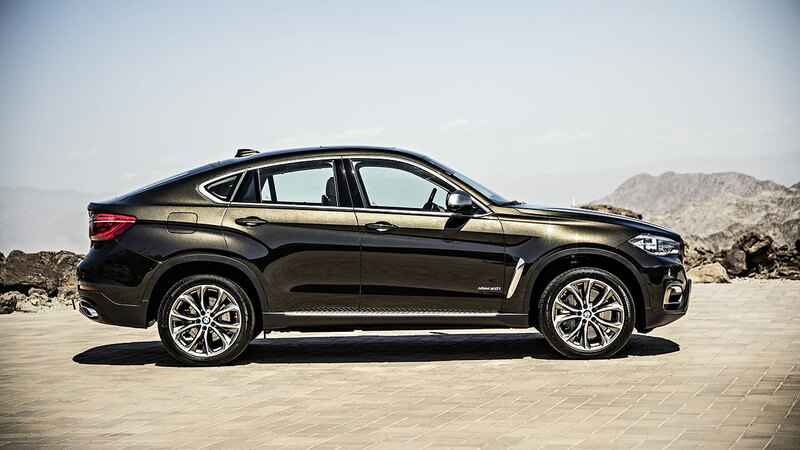 Ensuring that the noticeably increased performance of the new BMW X6 is accompanied by an up to 22 per cent reduction in average fuel consumption are BMW TwinPower Turbo technology, the standard-fitted eight-speed Steptronic sport transmission, extensive BMW EfficientDynamics technology, weight-saving optimisations and enhanced aerodynamics. 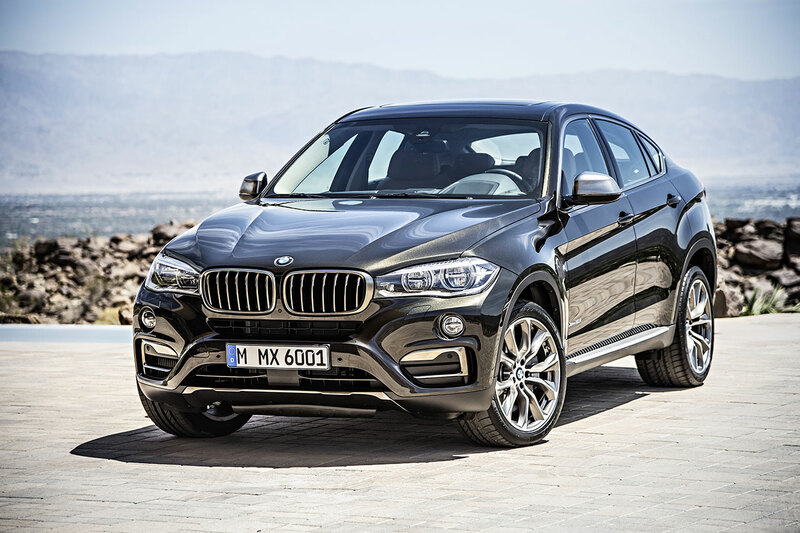 In spring 2015 the BMW X6 xDrive35i (225 kW/306 hp) and BMW X6 xDrive40d (230 kW/313 hp) will be added to the model range. 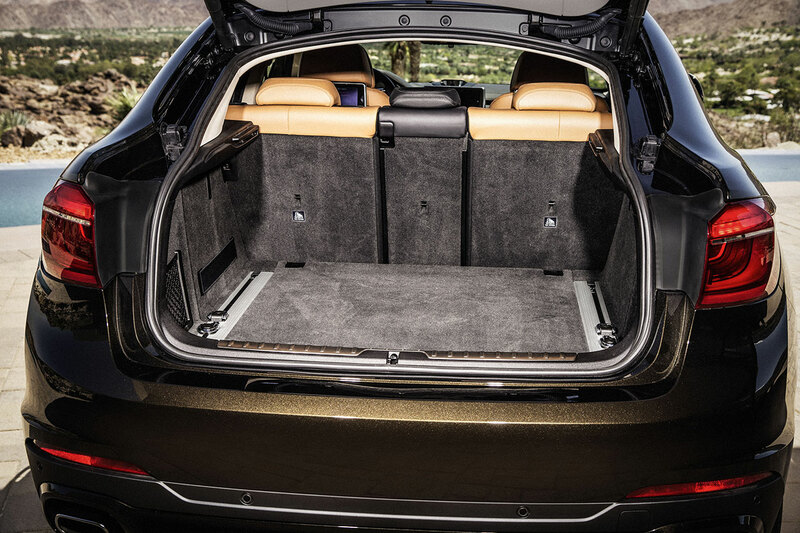 Chassis packages raise levels of sportiness and comfort, as desired. Dynamic Performance Control is offered together with Dynamic Drive active roll stabilisation as part of the Dynamic adaptive suspension package to deliver a targeted improvement in the car’s sporty handling attributes. 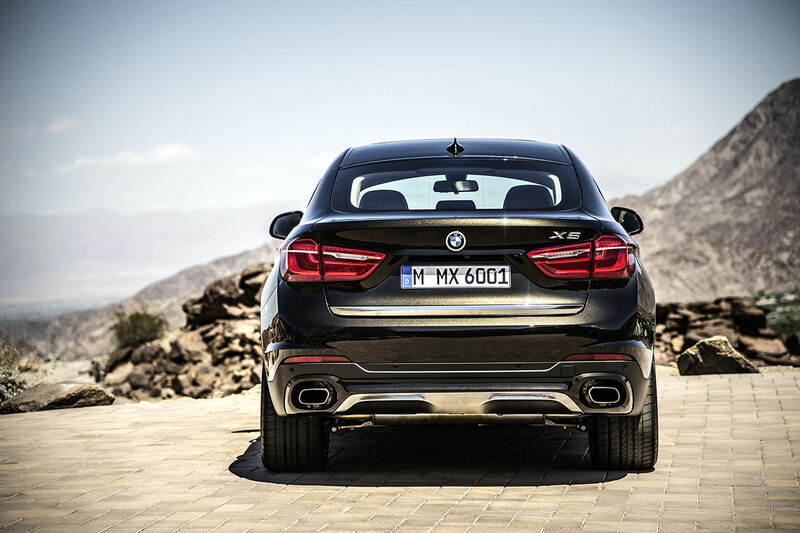 Further enhanced ride comfort can be achieved courtesy of air suspension at the rear axle and Dynamic Damper Control, which are included in both the Comfort adaptive suspension package and Adaptive M suspension (standard on the BMW X6 M50d and part of the M Sport package for the other model variants), which also offers bespoke, sports-oriented suspension tuning. The Professional adaptive suspension package, meanwhile, combines the features of Comfort and Dynamic. 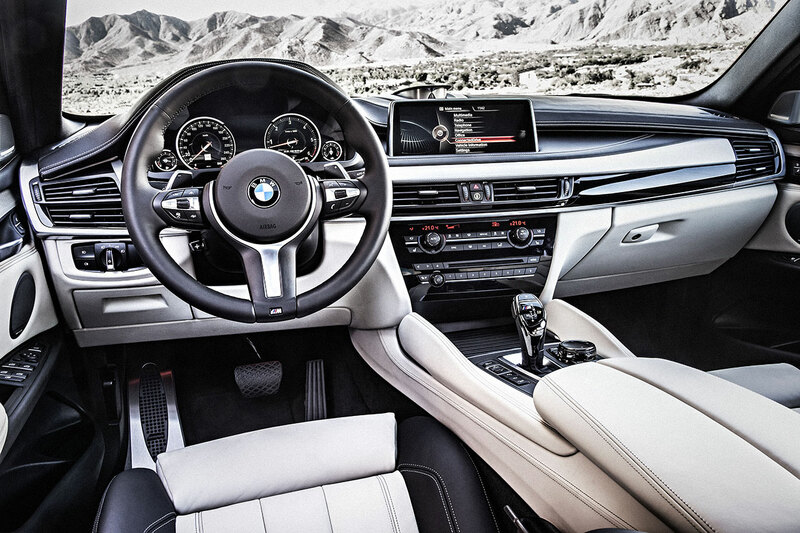 Innovative options and BMW ConnectedDrive features.